H2S was the first airborne, ground scanning radar system. 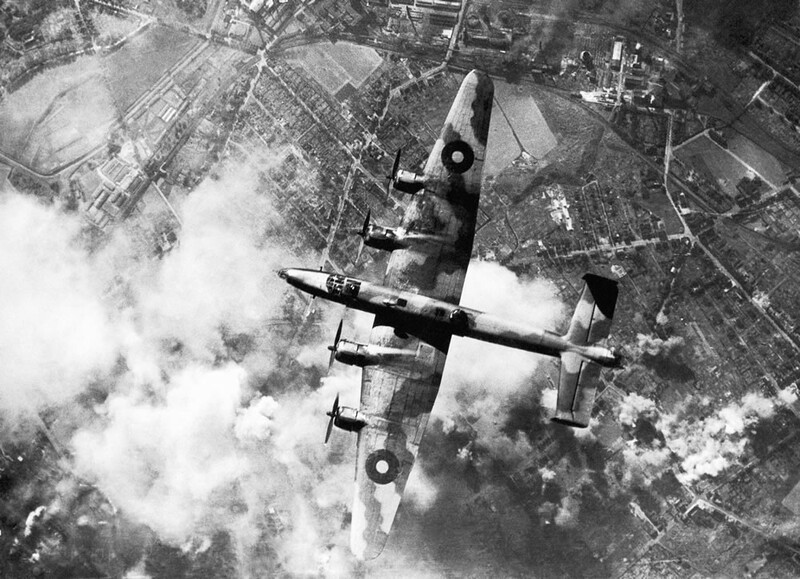 It was developed for the Royal Air Force’s Bomber Command during World War II to identify targets on the ground for night and all-weather bombing. This allowed attacks outside the range of the various radio navigation aids like Gee or Oboe, which were limited to about 350 kilometres (220 mi). It was also widely used as a general navigation system, allowing landmarks to be identified at long range. In March 1941, experiments with an early Airborne Interception radar based on the 9.1 cm S band cavity magnetron revealed that different objects have very different radar signatures; water, open land and built-up areas of cities and towns all produced distinct returns. In January 1942, a new team was set up to combine the magnetron with a new scanning antenna and plan-position indicator display. The prototype’s first use in April confirmed that a map of the area below the aircraft could be produced using radar. The first systems went into service in early 1943 as the H2S Mk. I (and ASV VIB) and H2S Mk. II. After it was found the resolution of the early sets was too low to be useful over large cities like Berlin, in 1943 work started on a version operating in the X band at 3 cm (10 GHz), almost contemporaneously with the introduction of its American equivalent, the 10 GHz H2X radar in October of that year. A wide variety of these H2S Mk. III versions were produced before the Mk. IIIG was selected as the late-war standard. Development continued through the late-war Mk. IV to the 1950s era Mk. IX that equipped the V bomber fleet and the English Electric Canberra. In the V-force, Mk. IXA was tied into both the bombsight and navigation system to provide a complete long-range Navigation and Bombing System(NBS). In this form, H2S was last used in anger during the Falklands War in 1982 on the Avro Vulcan. Some H2S Mk. IX units remained in service on the Handley Page Victor aircraft until 1993, providing fifty years of service.